This is a sample entry from John Payne’s newsletter, This Week in Grain, published on March 20, 2013. Liquidate the herd, get rid of everything. This is not attractive because the bids from the feed lots are really low (weak basis see #4). 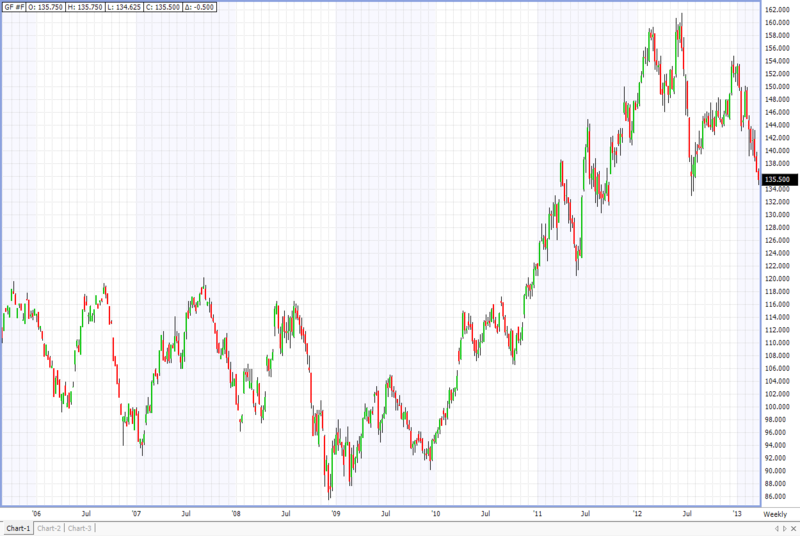 Fatten the cattle themselves; cutting out the feeder market and sell on the live market once they are fat. This choice is not any easier. Feed prices are high. That said, I believe operators are making this choice. 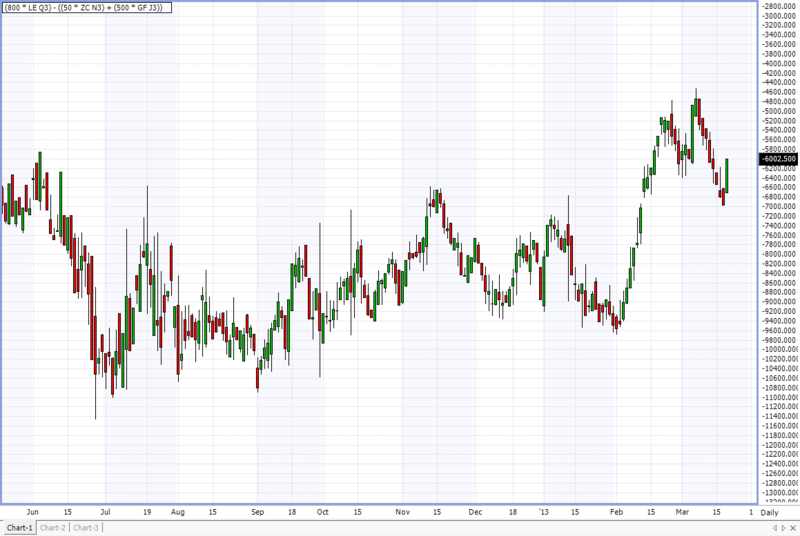 Cash corn is up 60 cents over the past two weeks. This sudden demand for grain does not fall out of the sky at this time of the year. Someone new is buying feed. I believe we are seeing a lot of both choices. The market is being flooded with feeder cattle as operators throw in the towel. They are doing this by either moving product or selling futures. These guys are normally the toughest around; they know how to handle risk. But even this break is too much to handle for some. The crush margins are improving, but are still in the red as they have been for months. The silver lining is that the market is doing the government’s job for them. Less cattle being raised = less need for beef inspectors. The wild card here is the fact that maybe we have too many meat inspectors already (the government wouldn’t hire a bloated staff, would they?) Maybe the administration is just selling fear. Maybe the invisible hand kicks in and the packers start to see some value. Maybe this will be seen in the cash markets as we come out of Lent. The “maybes” are starting to add up. For a market, the only thing worse than bearish fundamentals is uncertainty. This is a perfect example of that belief. If we could get some certainty and it would result in reversing steps 1-6 above, god bless those who are sitting short this market. The bounce could be ruthless. That said, I’m not so sure the government is going to come to the rescue. I think the safest bet is the prediction that the next 6 trading days are going to be full of fireworks.